Are You Upholding Your Responsibilities as the “Provider” in Your Family? There used to be a point in time where when people heard the word “provider,” it made people think of the man of a household being the financial support to his family; he was the one who would “bring home the bacon,” in a sense. A man providing for his family has been a key aspect of being a good father and husband but there is so much more to being a provider than the financial aspect of it. Today’s men are now realizing that the cultural “norm” and perceptions of what deems a man as a good father and provider are changing. A good father spends time with his children, he communicates with them and he’s involved in several aspects of their lives to build memories with them. Now, those aspects are very important in providing for your children but it still doesn’t trump the financial responsibility a man has to his family. A man with an ounce of love for his children will feel compelled to take care of them, not obligated. Whether he’s married to the mother of his child or if he’s not with the mother but faithfully pays his child support to contribute to his child’s well-being, being able to financially provide for your family sheds a beautiful light on meaningful moments and opportunities on the role of a father. Although as a father, you want to be able to provide for your kids and give them a life and things you didn’t have as a kid, you have to be careful to find a nice and healthy balance between the two. You don’t want to get so wrapped up in becoming a provider that you’re never present in their lives. 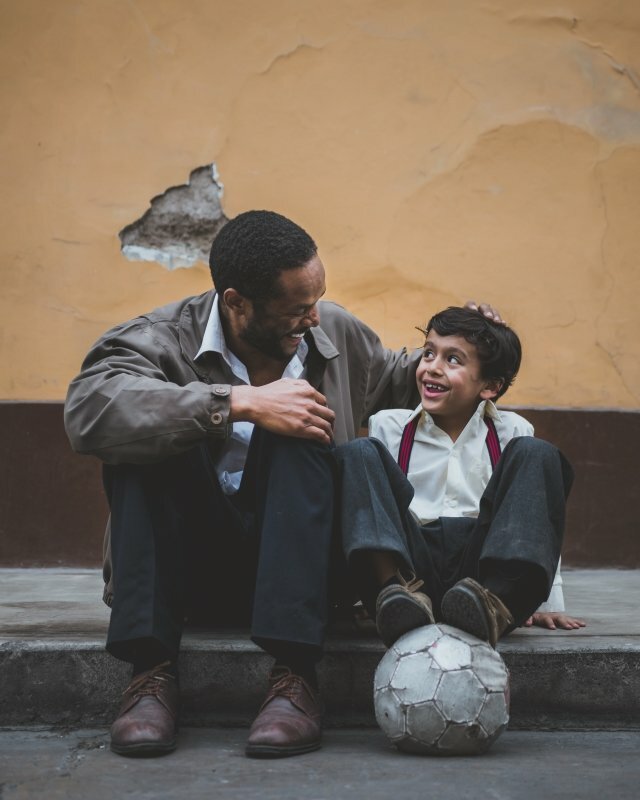 According to fathers.com, over 19 million children live in homes without the physical presence of their father. To make things even worse, there are even more fathers that are physically there with their kids but are not emotionally there for them. Why is that? There’s been research and surveys conducted that revealed that some of the best fathers don’t have the highest levels of income. Remember, a 5-star “provider” can have 2 or 3-star income and for some families, that dynamic works for them. As far as income is concerned, the important aspect isn’t necessarily the level of income but more so the question of is the income steady? Above, it was mentioned the level of quality of a 5-star provider in comparison with a 2 or 3-star income, right? Well, as a man, having that mindset isn’t necessarily a bad thing. The dad with mindset cares more about time with his family and is more likely to turn down a job that offers more money but demands constant overtime. Luckily, times have changed and technology has too. There are men who still work 2 to 3 jobs to provide additional avenues of income for his family but it’s no longer a last resort. A lot of dads are now getting more into the world of E-commerce and starting their own business. Did you know that you can run your business from home with a few clicks? All you need is your idea, some time to dedicate to it, and the drive to succeed. The fact that you can do this from home and still have the opportunity to make just as much money (if not more) as you would physically punching in at a job. At least with this, you’re your own boss and you can work around your family time. Dr. Phil said it best about the role of a man: “It’s a privilege that comes with a lot of responsibilities.” What if a man made six figures at his job annually but struggles with saying those three words to his wife? If a man struggles to say “I love you” to his wife, what good is he doing for her? He’s not fully assuming the role as a provider to his family. As mentioned earlier, there is so much more to being a provider, so if you thought providing was just the financial aspect, get it out of your hear right now, today. We’re going to take a look at some of the responsibilities of the role of the man as a provider. Protecting isn’t all about punching a guy in the face because he said something insulting or disrespectful to your wife. It also means that you’re protecting her self-worth and self-esteem by making her feel secure within herself; not giving her any reason to believe that you’re being unfaithful to her. You use that same approach of protection when it comes to your children too; you want to build them up, not break them down. If there are things happening in your marriage that are troublesome, take the lead and handle it. Don’t sit and complain about it or wait for your wife to get the ball rolling. A lot of people like to say that marriage is 50/50 when it’s really not. Marriage is 100/100 because you and your spouse should be putting 100% into your marriage. What are you teaching your children? Are you being a good example and role model for them or are you teaching them the motto of “Do as I say, not as I do?” It’s very important to be a good example to your children, especially during the really formative years in their lives. You want to teach them about self-esteem and confidence, knowing their own value and worth, and the simplest of them all… how to treat people… treating people how you want to be treated can take them very far in life. If you have a son, you can set the standards for him by him watching how you treat your wife. Him being able to see how you treat his mom will show him that when he gets older, how to treat a lady. The same goes for girls. The way she sees you treating her mom, she’ll know what she will not put up with in a man when she gets older.